Research points to an increased lifespan by having children. Here are some good reasons why. Some things about life are downright amusing, ironic even. For example, every child I know wishes they were grown-up, an adult- because well, adults get to call the shots. After all, who likes to be told what time they should be in bed? And every adult I know (including myself) wishes they were a child again, or at least wishes there was a magical way to know how precious those years were, while it was still happening. Well, we can’t ever go back to being children, but I think there is a close alternative. There’s research pointing to an increased lifespan by having children. Parents or not, simply choosing to be around children and actively engaging with them can bring us closer to a childlike state. Children can lighten up any kind of environment. They are mirthful, amusing, stupid, funny, sometimes even ruthless. They can deliver a ton of life lessons effortlessly — ones we have forgotten since the time we grew up. 1. Shed shame over what you want. One evening, a bunch of my daughters’ friends trooped into the house — about 4 or 5 girls after my daughter had lured them into the house with chocolates. Plenty of negotiation followed on who gets what, and as my daughter dipped her hands into the jar to give them away, I noticed something with amusement. Each of those girls glued their eyes to every movement of her hand until the candy landed in their hands. I actually pictured a slow-motion camera fixed in their eyes, watching and waiting for their prize catch with bated breath — totally unashamed, unabashed. Self-conscious? What’s that word? Imagine a bunch of adults here. Each of us would try to look the other way to avoid embarrassment, or talk about something more ‘important,’ and mumble a sophisticated ‘thanks’ to the giver while in the middle of a more important thing. Why? I think if we went back to being like kids and live the anticipation of what we truly want, we would learn to appreciate the joy of giving as well as taking. Ever walked into someone’s house and had their child show you their latest band-aid, as soon as you walk in the door? Who hasn’t? They will even proudly tell how they fell. Or how heroic it was for them to survive the great mosquito bite! There was a phase in our lives when whole band-aid boxes were vanishing into thin air with two little ones using it as a quick-fix for everything — from a best-friend breakup to a knee tear. Bandaids are every child’s medal of honor. Children don’t believe in hiding their scars. If anything, they are proud of them. It’s only in the adult world that scars are deemed ugly and worthy of covering up. 3. Don’t hover over failure. Ever watched a child learning to topple over, crawl, walk or anything at all? When they stumble and fall, you will never see a child sit down and never try it again. They might elicit a fake wail (if someone is looking to bring attention to their heroism), but they will definitely go back to doing the exact same thing they failed at a minute ago. In the adult world, too many successes have been evaded due to the focus on failure. 4. Be unapologetic for being you. Science says children inherit creativity from parents (especially the mother), but as adults, we end up covering it up with layers of conditioning through the years, even though research says that being creative helps us all the way till old age. Children don’t know fear — at least not until we introduce it to them. Tim Brown, the founder of IDEO, in his TED talk, explains how the famous 30-circle test differed between children and adults. In the 30-circle test, each participant is given a sheet with 30 circles. You are required to fill in as many circles to resemble objects (a quick test for creativity), and then show it to your neighbor. When the adults did it, they not only filled in fewer circles than children, the most important thing was they showed it to their neighbor, accompanied by the word sorry for just showing their ideas to their neighbor! Children, on the other hand, were eager to not only show it to their neighbors, but whoever asked and even those who didn’t ask to see it! Children don’t see a reason to apologize for being themselves. 5. Don’t hold back on love. When my daughters were young, they would fill their pockets with gifts for me every day on their way back from school. The gifts would be twigs, dry leaves, little pebbles, a ‘rare’ piece of rock, ‘near-extinct’ fruits fallen on the streets, half-finished and chewed up pieces of chocolate from someone’s birthday in class. I don’t remember my own childhood, but I distinctly remember my younger sister writing a heartfelt letter for my mother in the mere one hour that she didn’t see her when she got back from school. Children don’t hold back in the way they express their love and don’t give a damn about ‘adequacy’ or ‘appropriateness’ of love. They just do their thang. Most adults don’t think twice about doing it to the loved ones in their lives. We all wish the person we have did something else like someone else. 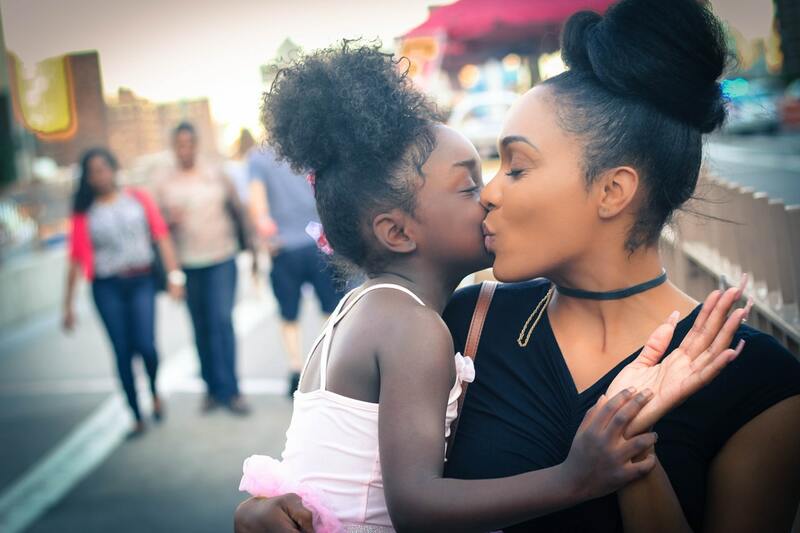 When you hear a child say, “ You are the bestest mom in the world,” it is because they are utterly, helplessly proud of their mom for what she already is. 7. Make your story count. I was in the park one day and I happened to strike up a conversation with a 5-year-old boy. Before I even caught his name, he got me into a wondrous tale of how heroically he fought a 2-foot-long snake! His eyes were alight, and in just a few seconds, mine were too. In a child’s story, he is the hero. Real or fake, he is the doer. He controls his world. In a lot of ways, adults can control their worlds too — if we made ourselves accountable enough to be the heroes of our stories. When a child needs you, they will cry bucketfuls of tears, drown in snot, beg to be carried, even mime a dead person in the middle of a supermarket. Children are not afraid of being seen as needy. I actually think this is a superpower that kids have, that’s gradually taken away from us as we become adults. I can’t even begin to recount the number of times I have been blown away by children’s amazing ability to simply let go. They don’t do it after analyzing it in a million different ways and finally settle at, “I need to do it for my own peace. This is good for my soul.” They forgive because, well, they don’t have time to waste on other’s faults, they are too busy living life full force. This article first appeared on Thought Catalog.